Not only is Savannah considered one of America’s most haunted cities, it’s also the scene of a number of grisly crimes. On this adults-only walking tour, visit eight locations that are known for being the sites of horrible events such as shootings, axe murders, physical mutilation, and body dismemberment. 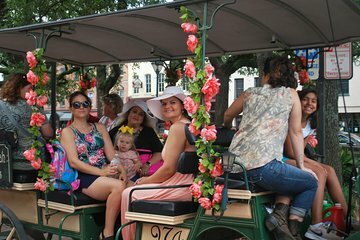 Then, lighten things up a bit with a carriage ride through the historic section of town. Walking tour of the "Crimson Trail"